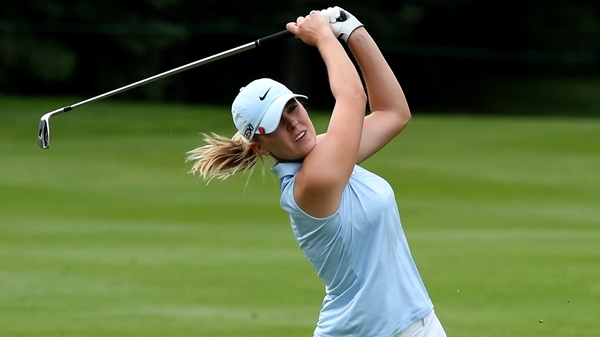 In 2009, Jennifer Kirby produced what may have been the best single season amateur record of any junior golfer – ever! She won the Ontario Junior Girls Championship, the Canadian Junior Girls Championship, the Ontario Women’s Amateur and the Canadian Women’s Amateur as an 18 year old. Kirby then moved on to the University of Alabama where she helped her Crimson Tide team win the national championship in 2012. She also represented Canada in numerous international events including the World Team Amateur Championship. After college, Kirby won her first pro event on the Canadian Women’s Tour, then managed a 5th place finish at LPGA Qualifying School to earn exempt status on her first attempt. Two years on the LPGA, followed by two more on the Symetra Tour, produced mixed results and ultimately led the 27 year old from Paris, Ontario to make a decision to end her professional career. But the LPGA’s loss is ClubLink’s gain. Jennifer Kirby is working and teaching at Hidden Lake Golf Club in Burlington and recently spoke to Peter Mumford about life on Tour, her decision to leave and what’s in her future. What was the best thing about playing on the LPGA Tour? JK: Definitely making it to that level. It was a lifelong goal to play professionally, so ticking that box was huge. Beyond that, the travel was amazing. I saw lots of the U.S. and Canada but also places like Bahamas and Australia. After a terrific amateur career and a great run as a college player, how hard was it for you when you didn’t have the same kind of success as a pro? JK: It was very frustrating. I knew I had what it takes but I put a lot of pressure on myself to perform. When it didn’t happen, I lost some of my self-belief. Was there one specific thing in your life or golf that convinced you that it was time to move on? JK: Not really. It was a combination of things that led to the decision. The traveling, the lifestyle on the road, the financial pressure, not playing well – they all added up. I think most professional golfers struggle with that stuff at some point in their career. Ultimately, I just wasn’t enjoying myself and when that happens, it’s hard to get motivated to do the work you need to do to be successful. I felt like I lost purpose. Was it an agonizing decision? JK: It took some time but I realized that there’s a lot more to golf and a lot more to life than competing on the LPGA Tour. I’m really grateful that I had the opportunity to do it. I met a lot of wonderful people and had some great experiences but at this point, I’m happy to have done it and happy to be moving on. You got your LPGA card on your first try and didn’t have to spend any time on the Symetra Tour as a stepping stone. In retrospect, was that a good thing? JK: Maybe not. I had a pretty good amateur career here at home but I needed college to mature my game. I had great coaches and team-mates at Alabama but maybe a year or two on the Symetra Tour would have given me additional preparation for the LPGA. It’s a big step and I think it’s important that you win at every level along the way. Would you give it another try? JK: Right now I have no desire to do it again. I still love to compete, not just at golf, but pretty much everything. However, it takes a lot of work and commitment to play at the professional level and I just have other things I’d like to pursue. The LPGA is a wonderful experience and women’s professional golf is in a good place right now but from a financial standpoint, it’s still a long way from the men’s game. Last week, Justin Rose earned $1.3 million for winning while Minjee Lee got $195,000. It gets even worse as you move down the leaderboard. If you’re not among the top performers, it’s hard to make a living with all the expenses you have too. What drew you to ClubLink? JK: I’d been aware of ClubLink since my junior days, having played a lot of their courses in both amateur tournaments and pro ams. They’re doing a lot for junior golf and I wanted to be part of that. JK: All of the people that helped me when I was growing up not only taught me to play the game but also to enjoy it. I’d like to do the same. It’s gratifying to see results when someone plays better or masters a certain skill but it’s especially gratifying to help someone learn to appreciate golf and really enjoy it. Where do you think your experience as a pro on the LPGA Tour can best be utilized? JK: I’d love to coach aspiring junior golfers to help them reach the next level. Having been through the process, I know what it takes to get there. It would be great to be invested with a group of kids, getting inside their heads, challenging them and helping them achieve their goals. What advice would you give to young kids looking to do what you did? JK: Just follow their dream. Try to expose yourself to as much as possible and see where it leads. Play other sports too. Enjoy golf. Let it happen.